Estonians are Finnic people, sharing close cultural ties with their Northern neighbour Finland, a developed country with an advanced, high income economy that is among the fastest growing in the EU. 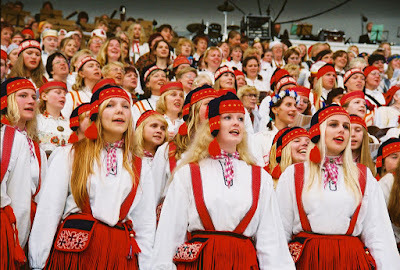 The Estonians song festival is one of the largest amateur choral events in the world, the joint choir (song and dance) comprised more than 30,000 singers performing to an audience of 80,000. 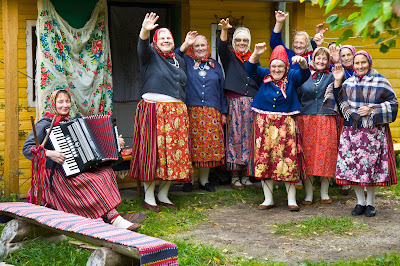 The country has a versatile cultural heritage from old songs, wedding and sauna tradition, to the capital architecture. 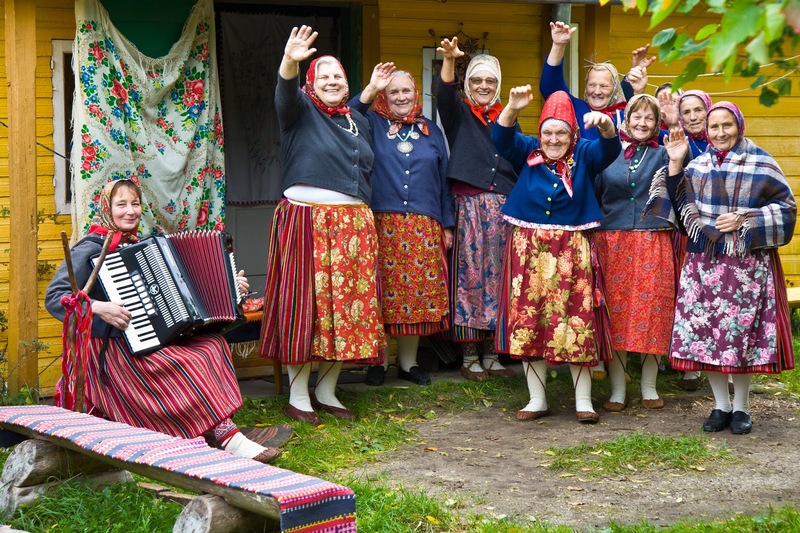 Estonia has a rich tradition of singing natural, a way to express thoughts and emotions, to collect memories and pass them on to the future generation. The singing tradition is "Setomaa", is kept alive and well by the older and younger generations alike. The most famous local singers throughout the history were able to recall up to 20,000 rhymes, earning the little "Seto Mother of Songs". "ESTONIA SONG AND DANCE CELEBRATION"
Taking place every five years and thousand of choir singers and dancers dressed in colourful national garments, states back to 1869, the dawn of Estonian national movement, the growing popularity meant that the festival soon needed a place to call it's own, the Tallinn Song Festival, dance celebration is a more recent tradition dating back to 1934, and seen today as inseparable by the modern audiences.